Bonus read: Is beaming possible? Yes, it is, says Johannes Blaschke of the Max Planck Institute for Dynamics and Self-Organization. He briefly explains the basic scientific principles behind beaming and lays out under which circumstances it can be done. 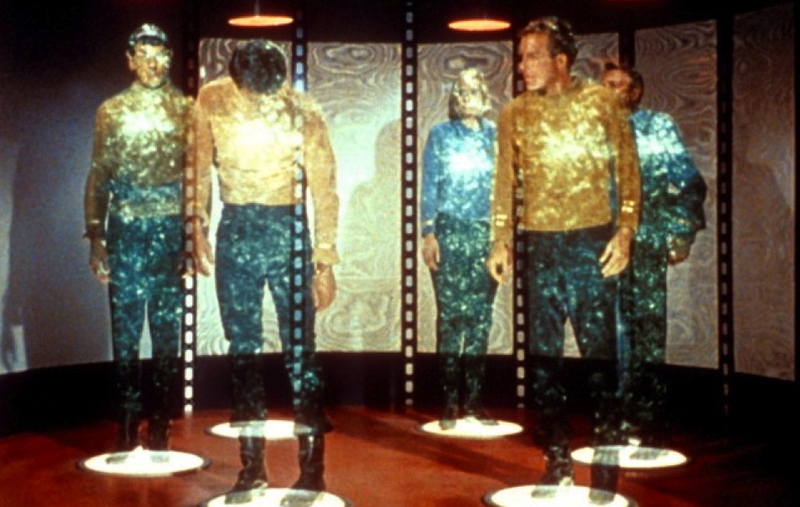 A transporter is a fictional teleportation machine used in the Star Trek universe. Transporters convert a person or object into an energy pattern (a process called de-materialization) and “beam” it to a target – where they are then reconverted into physical matter (re-materialization). Won’t anything that can be done, eventually be done? The teleporter ensures that an object (such as a human) disappears from one spot and reappears at another. For example, when Captain Kirk calls his chief engineer, “Beam me up, Scotty,” then disappears from a planet’s surface and reappears in the Enterprise’s transporter room. It’s very hard to say if anything will ever be possible. Instead, I’d like to explain how the Star Trek teleporter works and discuss whether it contradicts any physical principles. First, I have to describe some basics. Physicists look at the world a bit like a giant game of Lego: every object in the universe is made up of smaller pieces called elementary particles. Surprisingly, only five such elementary particles are needed to build just about anything in the world! In addition, particles of one variety can be converted into those of another. Energy is either consumed or released. Matter is thus a form of energy. Something is missing in this “world view”, though. For example, if we put together all the Lego bricks for a Lego car, we don’t have a car yet. The stones must first be put together correctly. It’s also indispensable to know how individual parts are connected to each other. If we put together all the Lego bricks for a Lego car, we do not have a car yet. The stones must first be put together correctly. You also gotta understand that information is very much entangled with energy: for example, it is much easier to break a Lego car than to reassemble it. Back to our Teleporter: This device measures all the particles that compose the object to be beamed, how they interact with all the other particles and where they are located. The article is then disassembled into its constituent parts and these particles are converted into those which can be transmitted, e.g. light particles. These are then transmitted together with the information about their original state to another place and then transformed back. Until the late 1960s, scientists believed that this was not possible. From their point of view, the critical step was knowing the exact information about the state of each particle. In quantum physics, this clashes with the so-called Heisenberg uncertainty principle. The basic idea is as follows: In the quantum world, pairs of particles can be generated that behave the same regardless of how far apart they are from each other. If one of these particles is “measured”, this measurement also affects the second particle and changes its state. Einstein described this as a “ghostly distance effect”. Scientists today speak of the Einstein-Podolsky-Rosen paradox. As a result, a teleporter doesn’t have to completely measure the particle he wants to beam. He simply transmits the information he can not measure with the help of the basic idea of ​​the Einstein-Podolsky-Rosen paradox.